Norwich City secured perhaps their most pleasing victory of the season thus far, after easing past arch rivals Ipswich Town by three goals to nil in the East Anglian derby on Sunday afternoon. There hasn’t been a fixture in many years where there has been such a huge gulf in class between the two teams, with the Tractor Boys fighting for survival in the Championship and the Canaries looking set for promotion to the Premier League, and that gulf in class certainly showed at the weekend. 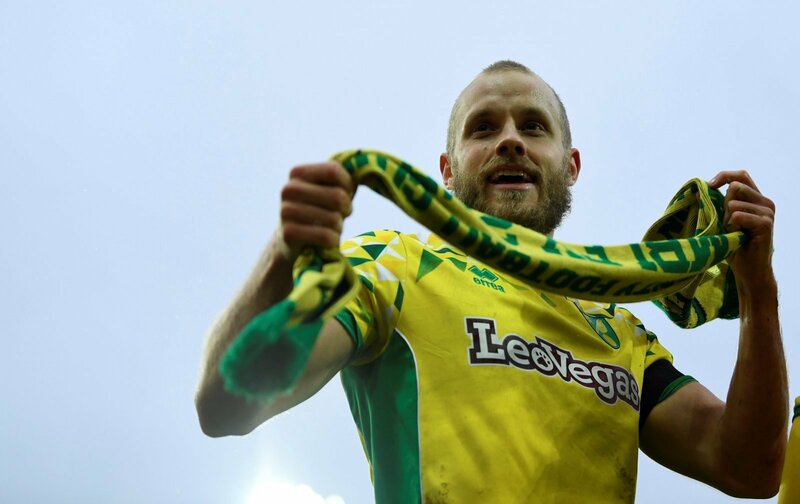 Onel Hernandez put Daniel Farke’s men in front after just two minutes, before a brace from the prolific Teemu Pukki secured an invaluable three points for Norwich, who have automatic promotion to the top flight well in their sights. Pukki was at his very best on Sunday – in four shots, he scored two goals and took his tally up to 21 goals for the season in all competitions. He is proving to be the signing of the EFL this season, the Finnish forward offers so much more than just goals, and has been sensational since arriving from Brondby on a free transfer in the summer. For a player who is 5-foot-11, he gave the towering duo of Liam Chambers and Matthew Pennington a real run for their money up top, winning one aerial duel and completing one successful dribble in 88 minutes. In terms of his passing, he didn’t have the greatest of games and struggled to link up play like he usually does, in what was a cagey affair at Carrow Road. The 28-year old accrued a pass success rate of 53.8% from 13 passes. But all that really matters is his form in front of goal, and with Pukki in the team, Norwich have a real chance of winning the league at the end of the season.